May I have a piece of your fur? At first, it may seem like a strange question. But do you know how much scientific information one hair on your head contains? 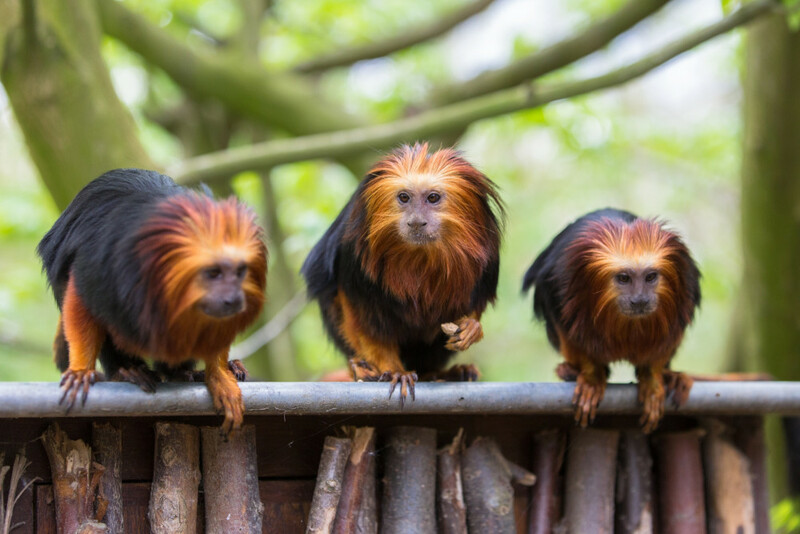 The scientists at ZOO Antwerp and ZOO Planckendael are collecting fur from golden-headed lion tamarins. With the information the fur provides, we can get a better idea of how these tamarins have genetically adapted to their surroundings. 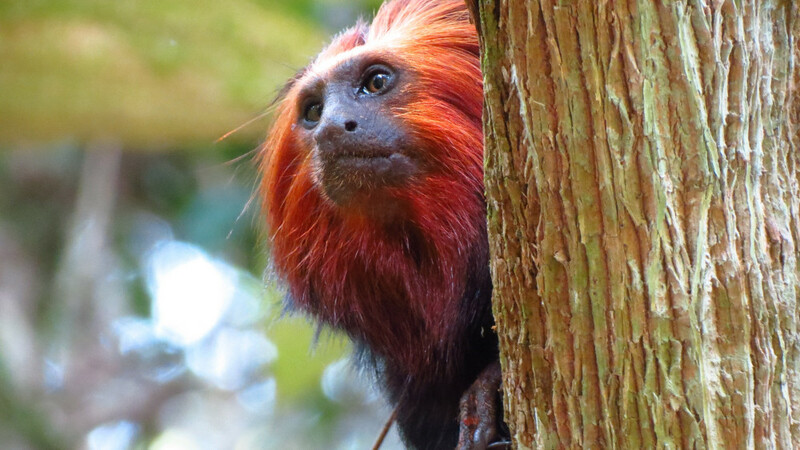 In Brazil, various groups of golden-headed lion tamarins have become isolated due to deforestation of the Atlantic Forest. Important genes can no longer be exchanged, which leads to a sharp decline in genetic diversity, and that could ultimately lead to extinction. 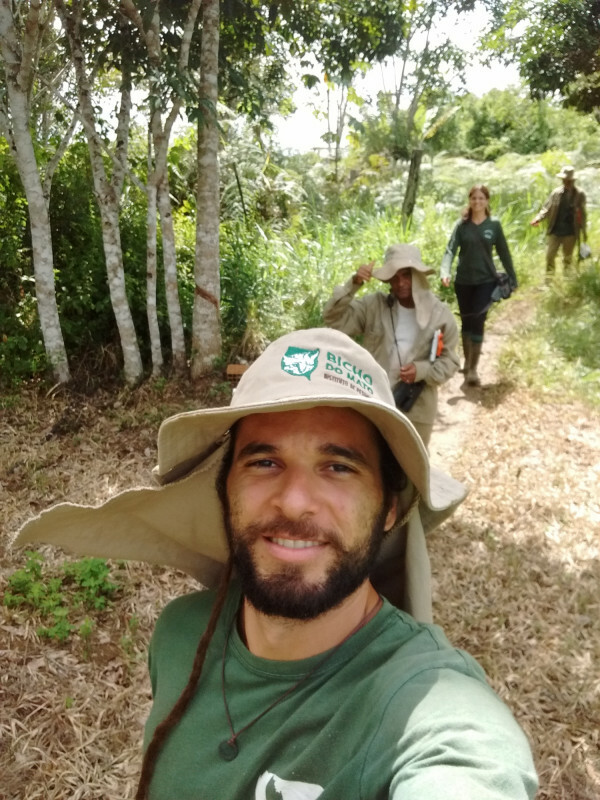 Up to this point, we have collected fur in our field station in Brazil by catching the tamarins. Now, we are using the animals at ZOO Antwerp and ZOO Planckendael to test a set-up in which the tamarins run through tunnels that contain an adhesive roller. We collect their fur in a playful way. We’re testing this system here, so that we can use it in Brazil in the future, without needing to disturb the tamarins. 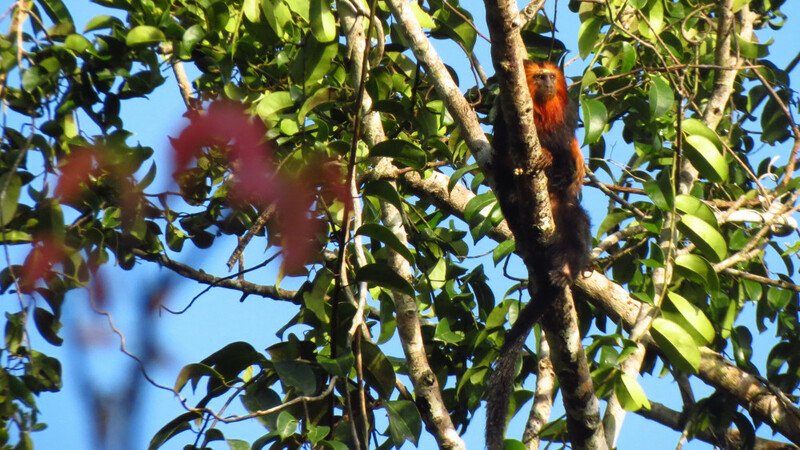 In Bahia, Brazil, we are studying groups of golden-headed lion tamarins in their natural surroundings. 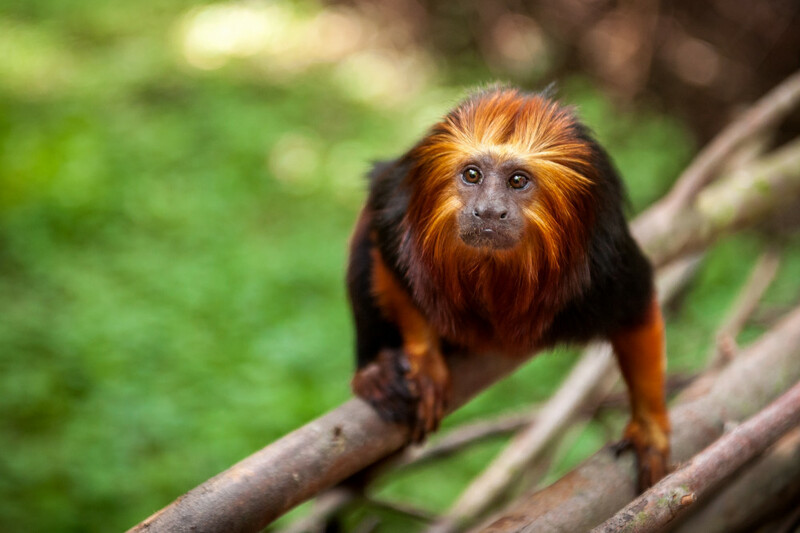 The tamarins are endangered by the ever-increasing deforestation of their habitat, which causes groups of golden-headed lion tamarins to be trapped in smaller sections of forest. Isolation makes it harder for them to find a mate that is not related to them, which leads to inbreeding. This causes important, rare genes to disappear, and populations can even become genetically distinct. 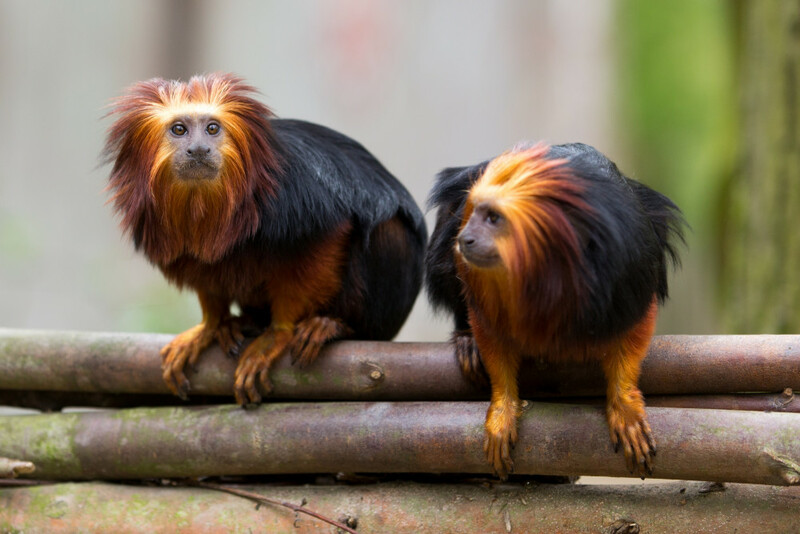 Our recent research, which we conducted in collaboration with Brazilian researchers, already revealed that populations of golden-headed lion tamarins in different parts of their natural territory show genetic differences. 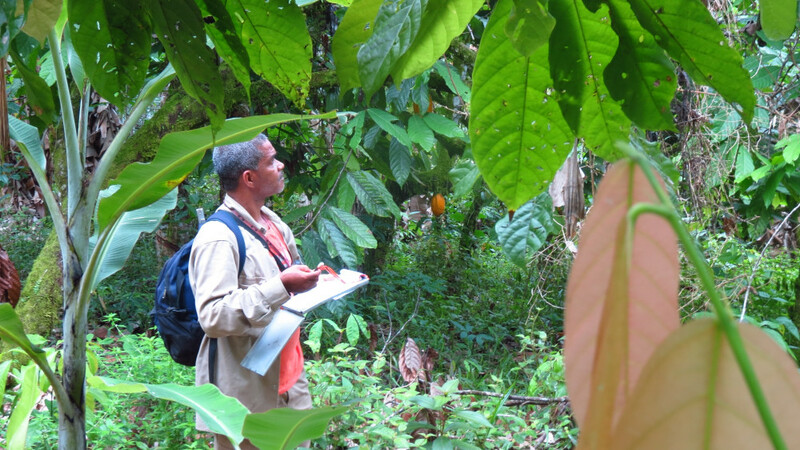 This could be caused by the fragmentation of the forest, but another hypothesis is that the genetic differences are a consequence of adapting to the rapidly changing environment – whereby one population might live in warmer, drier territories than other populations. To find out the cause of these differences, samples from the animals are needed, and we must conduct detailed analysis of the genome, the species’ entire genetic code. We extract the DNA for this analysis from the fur samples. 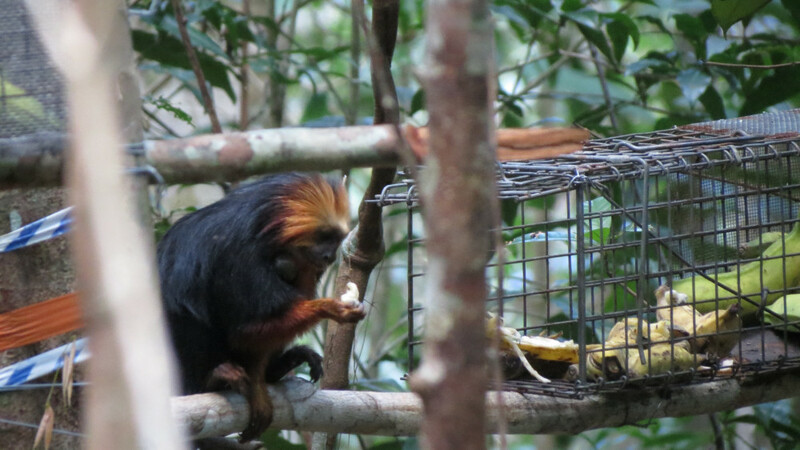 At ZOO Planckendael, we’re perfecting a new technique, using fur traps to collect samples from golden-headed lion tamarins without having to sedate the animals. The animals are lured into a tunnel with tasty food. When they run through the tunnel, their fur sticks to an adhesive roller hanging inside. The tests we’ve conducted so far are promising, but the challenge now is to extract enough DNA from the fur in our lab. 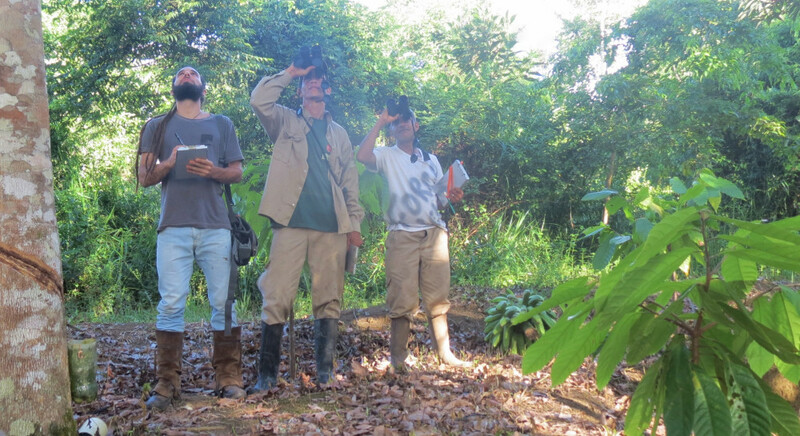 We are testing the trial system, and we will adjust it until it is ready to be used in our field research project, BioBrasil, in Brazil. The DNA data enables us to find out how these animals have adapted to the climate and landscape in their natural habitat. 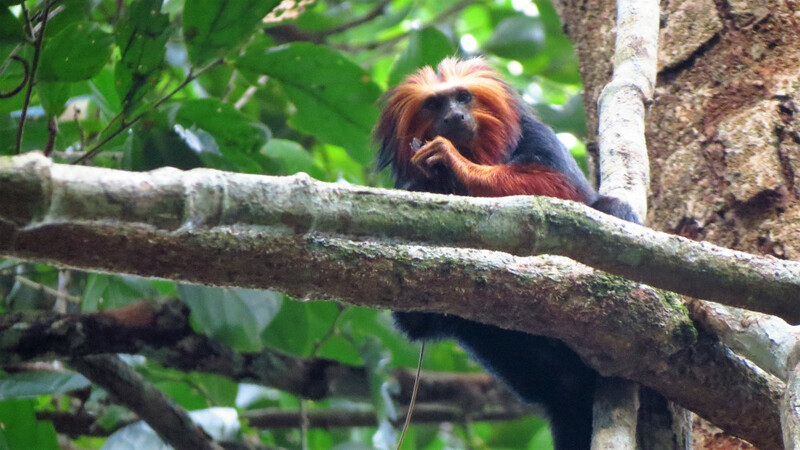 In addition to human factors, like deforestation, climate change in the tamarin’s habitat is also a threat. Once we know where in the genome we need to look to find these adaptations, we can use the information to better manage the remaining populations in the wild in a changing environment. For example, it’s possible that we see that animals that are genetically adapted to a drier habitat are not present in sufficient numbers in a certain region. Normally, the animals should be able to spread out over their territory sufficiently, but due to loss of habitat, that is not always possible. To solve this problem, we may need to move groups of animals that have the necessary genetic adaptations to genetically depleted areas. In this way, we can reinforce genetic diversity there, so that the populations can adapt more easily to climate change.